WARNING: This show may be too intense for some audience members. 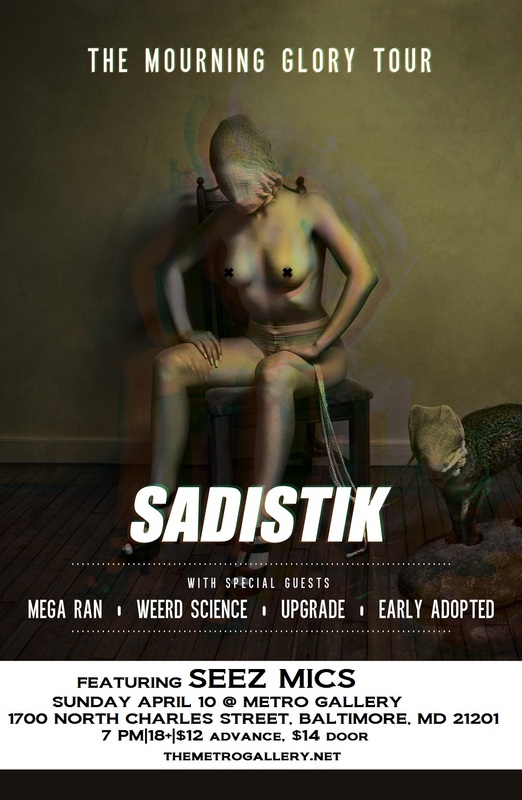 I’ll be joining my Crushkill Recordings and Fake Four homey Sadistik at Metro Gallery (Baltimore) on Sunday, April 10. Many thanks to the good people of Oliver Booking Company.